Muniz acrylic barstools offer a modern, clean look. 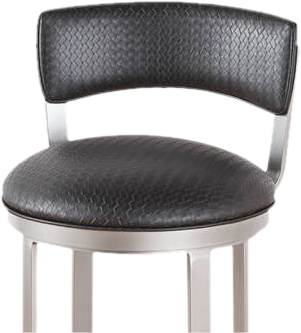 Many who buy these modern barstools do so because they want their space to make a real statement. If you want clear counter or bar seating for your home, office, or bar or lounge, Muniz clear stools have an excellent reputation. 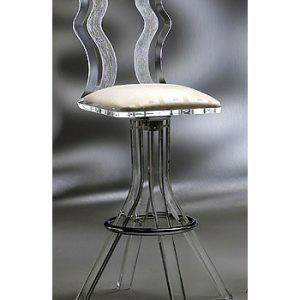 Whether you want a completely clear acrylic stool or fabric on the seat and back with clear legs, Muniz Plastics offers incredible designs that make a real statement in homes, offices, restaurants, and nightclubs. 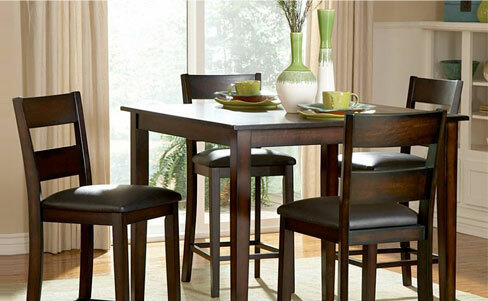 Making furniture since 1965, Muniz Plastics make their products in the USA. This well-regarded company offers dining sets, sculptures and pedestals, desks, lamps, chairs, benches, and beautiful barstools. And they’re all either completely clear or blend crystal clear acrylic with other materials to create beautiful furniture with clean lines and incredible detail. This brand enables you to create a truly unique and special space. 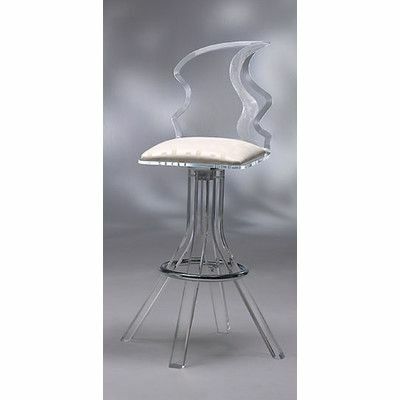 The Muniz acrylic barstool collection includes a variety of clear Lucite options, such as backless barstools, low back acrylic stools, scalloped seats, a Tiffany bar stool, and their highly popular Venice acrylic bar stool, with the upholstered chair on diamond finish clear legs. The detail in these hand-finished stools is incredible. Many of our customers who look at their options for clear seating options remark that they continually get compliments on these stools. 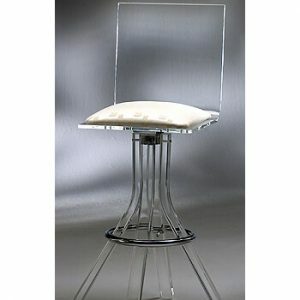 The Muniz selection of acrylic barstools includes some incredibly unique designs. Often called ghost counter stools, they are modern, clean-looking, and absolutely gorgeous. They fit into any color scheme, too. If you’re looking at options for clear counter or bar stools, Muniz Plastics products are available here at Alfa Barstools. We offer an excellent selection at deeply discounted prices. At Alfa Barstools, we strive to continually bring our residential and commercial customers a wide variety of seating options to choose from. Whether it’s something sleek and modern or something traditional that you want for your kitchen, patio, restaurant, nightclub, or office our wide range of options are sure to delight just about any discerning shopper. 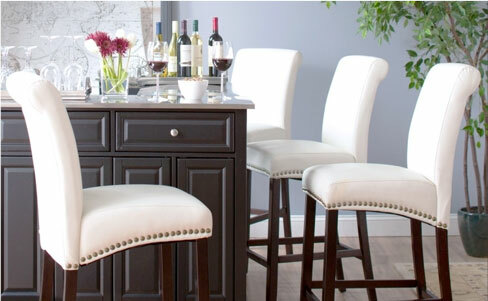 We offer custom bar stool options, too, in a variety of sizes, including extra tall barstools. Orders can be placed here on our website or you can call us directly for personal attention from a member of the Alfa Barstools team. Need design assistance? Our team are well-versed in helping our residential and commercial customers choose dining table and seating options to suit any décor.